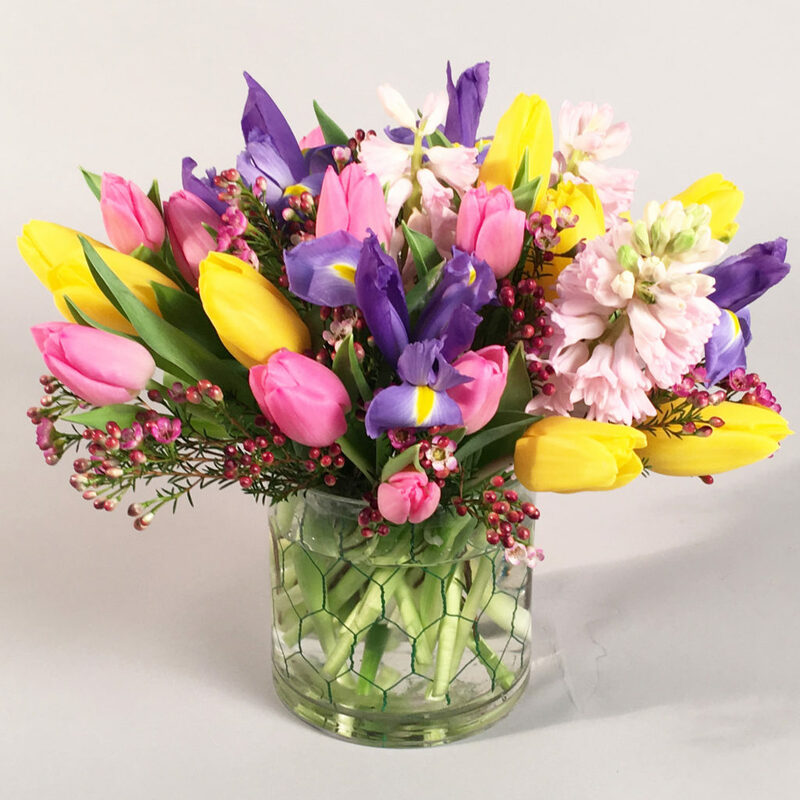 The start of the Spring season is always filled with fresh bulb flowers such as tulips, hyacinth and iris. The colorful collection is designed in a cylinder with a chicken wire accent. If someone you know needs a pick me up from the dull winter blues then we have a winner. Premium- Spread the spring madness with a bigger version.